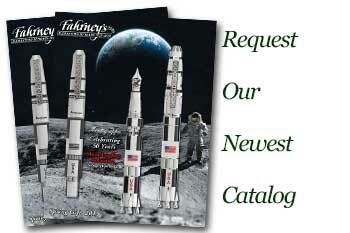 Order your Pilot Sterling Silver Turtles Fountain Pen today from FahrneysPens.com. Fine Pens, Refills & Luxurious Gifts – great prices & fast shipping. 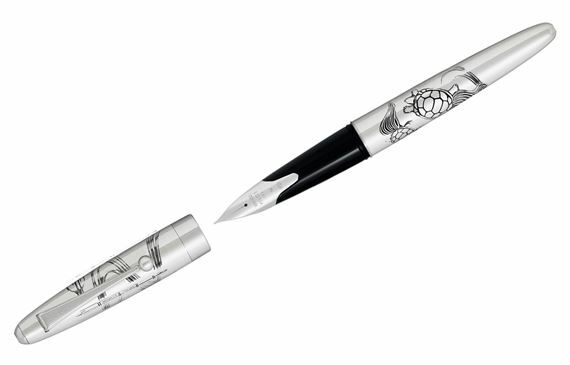 This beautiful fountain pen was designed to capture the splendor of symbolic nature-inspired Japanese images. Pilot created this inspired fountain pen for its extraordinary Sterling Silver collection that captivates your imagination and feelings of connection to the world around you. 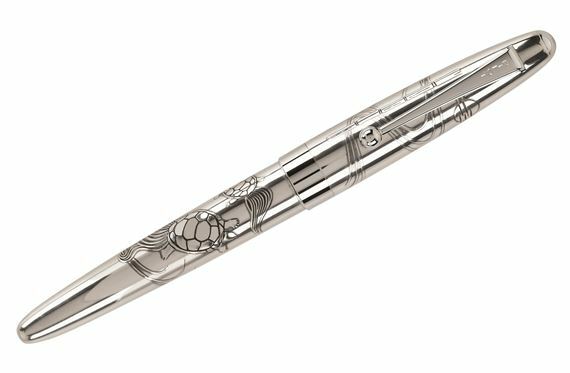 The sterling silver turtles fountain pen is formed from solid sterling silver and is intricately engraved with quality craftsmanship and creativity throughout the barrel and cap. Inspire your creativity daily with this delicate Turtles motif by Piliot. The turtles fountain pen carries the signature Pilot 18K gold inlaid nib. This elegant nib is revered for its precision and even strokes and is protected by a pull-off cap. The sterling silver turtles fountain pen accepts cartridge and converter ink fills. I collect turtles (old nickname) so this was on my radar for a while and the sale price pushed me over the edge. I already own 2 other Pilot demonstrators but they have 14k nibs so this is a step up.